30+ Halloween Games & Activities for Kids: Great for Classroom Halloween Parties! Halloween is such a fun time of year – it’s a great time to throw a party! Whether you are hosting a party for your kids at home or helping plan a Halloween class party – we’ve got all the ideas you need. Over 30 Halloween games and activities for kids! Last year, I had my first experience being in charge of classroom parties…and I loved it! Okay, it was a little stressful at times, but it was so worth it to see how much fun the kids were having. But if there’s one thing I learned, it’s to start early! I always have loved fall and Halloween themed parties – my birthday is November 2nd, so I had many birthday parties that fell around that time of year. 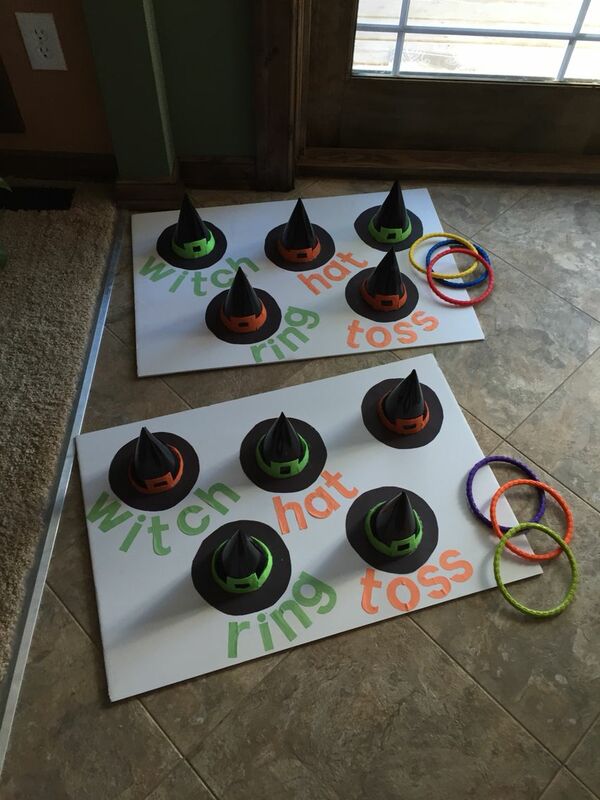 It was always so fun to come up with Halloween themed games for my guests! Pinterest didn’t exist back then, but I wish we’d had access to some of these fun Halloween games then. Jack is back in school, and I’ve once again volunteered to be the classroom mom. While I’m waiting a little bit to see if anyone else volunteers to arrange the games for the Halloween party, I’m excited to have some great EASY games up my sleeve in case I have to arrange a couple of them myself. Below you will find 15 fall and Halloween party games that are great for children. These ideas are from other blogs, so make sure you click over to get the full instructions. Hopefully this will help planning a fall party just a little bit easier this year! Not all of them are exclusively Halloween-themed…but honestly, I just kind of lump the two together 🙂 There are games and activities! Halloween Don’t Eat Pete Game Board Printable – This is a printable game board I made! I LOVE the game “Don’t Eat Pete”, and children love it, too. Any excuse to get treats! Spider Races – We did this at Jack’s Halloween party last year, and it was a huge hit! I’m definitely saving this one! I volunteered to be in charge of the fall party, and I can hardly wait!